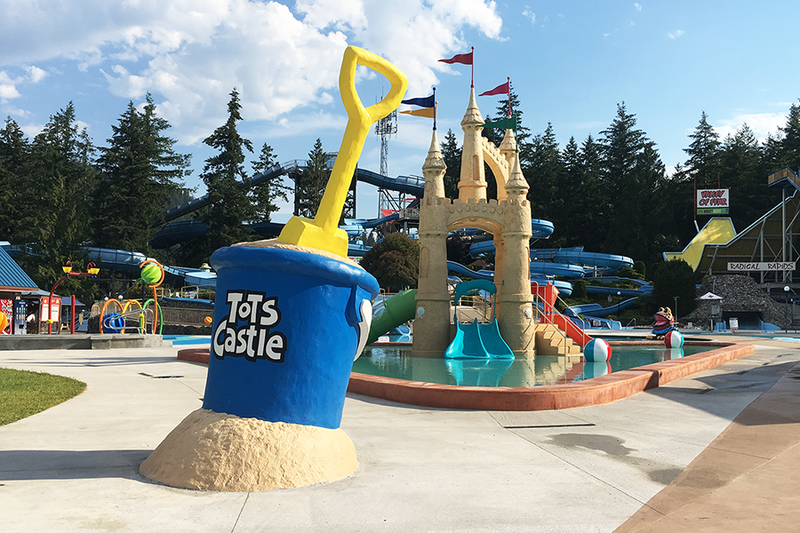 We finished the installation of the TOT's Castle at Cultus Lake Waterpark some time ago but construction of the pool was still underway when we left. Now with the summer holidays right around the corner the pool is complete and open. I took the opportunity to head up to the lake this morning to grab some pictures of the finished project before the crowds arrived. The giant sand bucket and castle sure changes the entrance to the park!